The Earth in the Ordovician period. Britain lay south of the equator and had a cool climate. Seas covered Britain and there was dramatic volcanic activity as the ocean separating England and Wales from Scotland started to close. The Earth in the Silurian period. Britain lay south of the equator with a tropical to sub-tropical climate. A sea covered Britain that was shallower in the south (limestones) and deeper in the north (sandstones and mudstones). 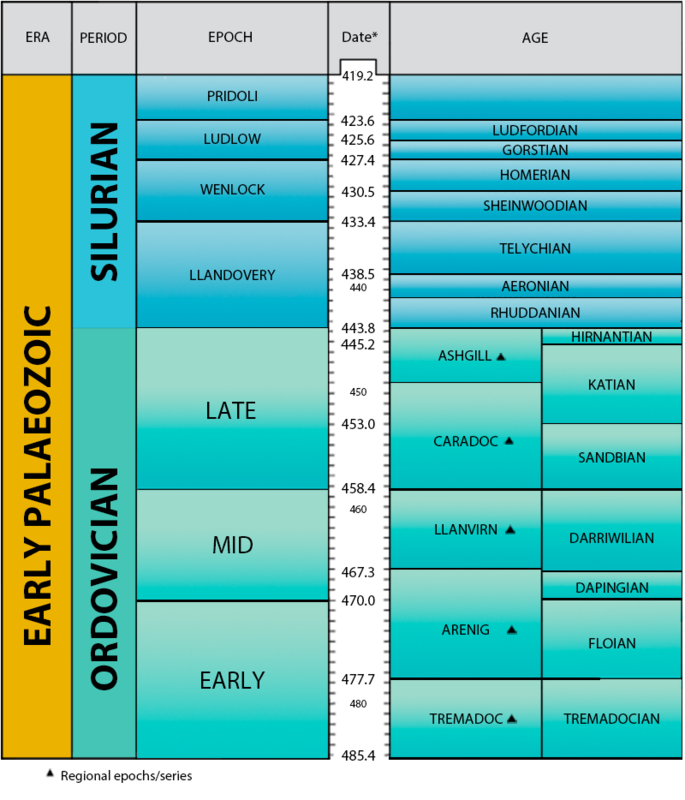 Silurian fossils include corals, brachiopods, trilobites and graptolites.